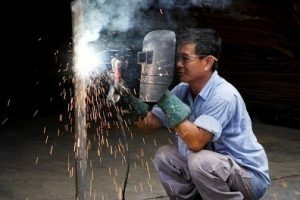 For most persons that need a welder, the obvious answer is to head to a hardware store, buy one and be done with it, however there are many Do-It-Yourself (DIY) persons out there who would rather build a welder themselves for their own private use or simply because they can; also a DIY welder is often stronger and more durable than a ready-made one. If you decide to take on this project, there are a few parts that you will need to get the job done; fortunately you should be able to get most of them for free or reasonably cheap. You will need: two beat up old microwaves, some 10 gauge wire, wire nuts, a welding helmet, welding rods, gloves, and thick nonflammable clothing that will cover your arms. If you don’t happen to have two microwaves lying around, you can probably get scrap ones from an electronics store, from persons you know, or you can buy cheap ones from a thrift store if you need to; it is important to note that you must short out the large capacitor inside the microwave before attempting to remove anything else as the capacitor can cause deadly electrical shocks. You will need about two transformers for this project, if you can find a single one that is big enough, you can use it alone and skip the second one. Prepare the transformers in the microwave by chopping and knocking out the secondary windings, being careful not to damage the primary windings; next you will need about 24 feet of ten-gauge wire to wind onto the transformers. Wind about 20 turns of the ten-gauge wire onto each transformer, or more if it will fit; then you will need to mount and wire the transformers together. Test your welder’s voltage at this point with a voltometer; the two secondaries should produce about 38 volts AC with no load if they are wired correctly; if everything works the way it should, you should now be able to go ahead and grab a few welding rods and give your new welder a test run. You will have to experiment with your welder to see what type of materials you will be able to weld with it; the welder might be too weak for some very thick materials, while it may be too strong for thin, weaker materials. If you can afford to get one, you can plug your welder into a variac dimmer so that you can control its power output; an alternate and cheaper solution is to use a solid-state dimmer. 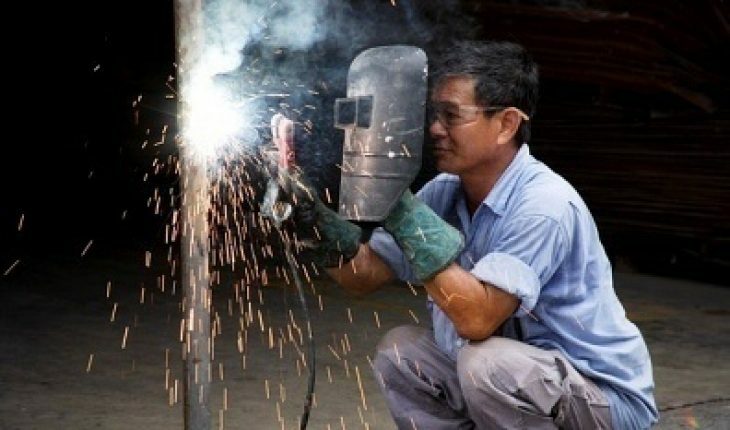 Bear in mind that welders can be dangerous tools, so never use them without first putting on the proper safety gear to protect your eyes and arms from being damaged; if you are unsure of exactly how to put your welder together, there are several sites online such as instructables.com that will provide you with step by step instructions and pictures to make the process easier; there are other sites that will also give you instructions for building a more complex welder if you are up for the challenge.